Recently, the Espacio Foundation published a new book, Interventions in Public Spaces in Sucre Municipality” (Intervenciones de espacios públicos en barrios del municipio Sucre). 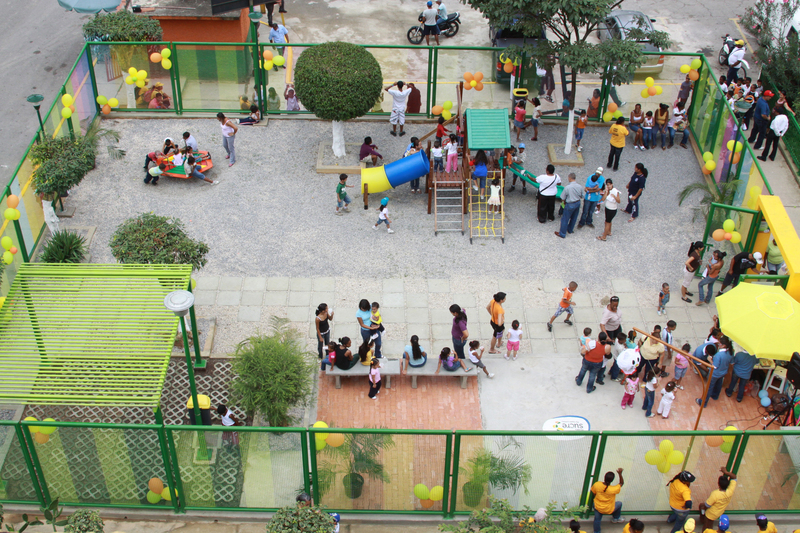 The book documents a program set by Sucre Municipality, that since 2009 have built almost 30 small new public spaces deep inside Petare, one of the biggest and densest informal settlements in Caracas, and probably in Latin America. The parks are really beautiful, but beyond that, the unusual commitment of the many actors participating deserves a special recognition. We have asked Maria Mercedes Hernandez, landscape architect and professor at Simon Bolivar University, to share her experience. She worked in the program from the beginning, guiding the students working in the design of the parks. 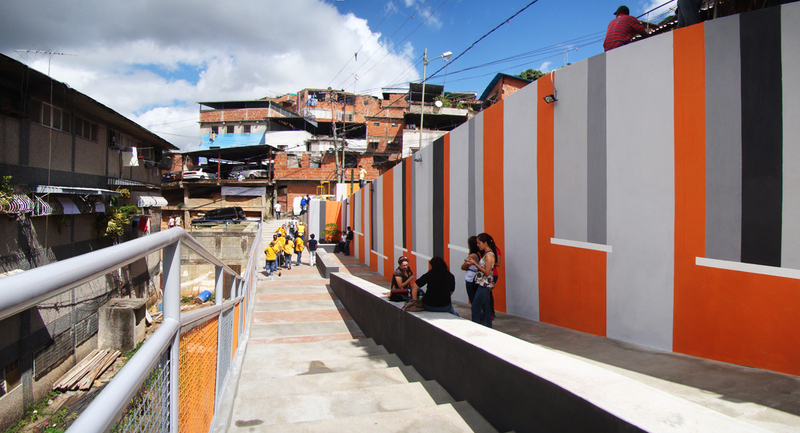 …“Interventions in Public Spaces in Sucre Municipality”, more than a book is a window open to a city concealed for many. Through it we’ll cross the limits between both cities and discover that it is not really hidden. We’ll see a city full of life and hope, and also of needs and problems, a city that is still owed too much. This is why the initiative of the Special Projects Office at the Municipality, trying to fulfil least a small part of the dreams and hopes. is so important. The new parks, squares and boulevards are designed under the criteria of equity and quality, accessibility and security. Now the public space has new life, new meaning, and new stories to tell .It will help to give communities the opportunity to transform their identity. Now the public space live together with the private ones, can be glimpsed from a window, from a corner or from the school. A new visible reality that brings confidence over the future. The book stresses the participation of the many actors who took part in the program: communities, politicians, institutions, the academia, plastic artist and professionals. Many different visions amalgamated to create a plural city, a city for all. 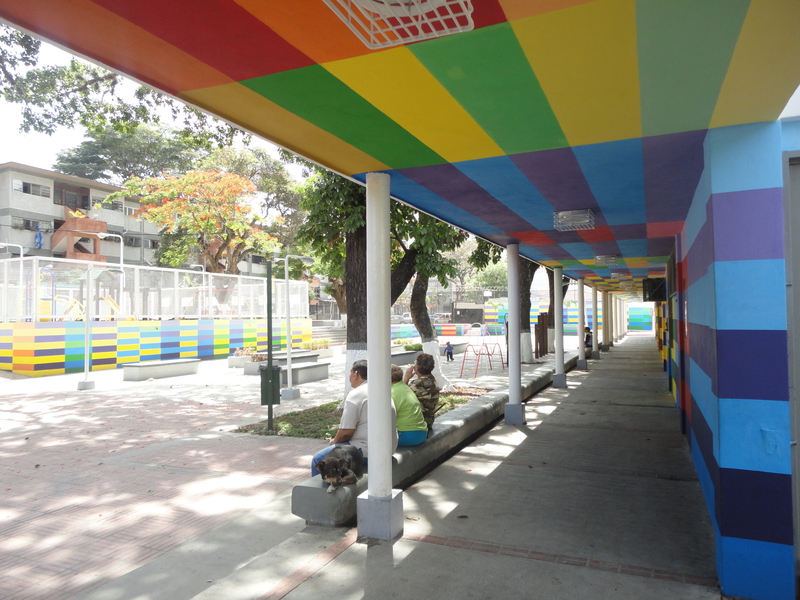 It shows the stories of the inhabitants and their commitment to their communities, the contribution of students and teachers, the vision of the municipal government, the support of the private sector, and the capacity of art to integrate all this ideas in the public space. It was a great opportunity for us from academia to assume a social role in the structural transformation of communities. To incorporate social strategies in the academic pensum allow us to realize that is possible to support a mayor collective in reaching their goals. The students, who participate consciously and creatively in the design and construction of the projects, had a firsthand experience of the social and cultural reality of our country. Fostering in them solidarity, high ethics standards and a service attitude will led to the future social leaders. Interesting for urban planners and designers. What an opportunity this would be for Indian municipalities to take up! It is picking up in India as well. Sabarmati & Kankaria water front development in Ahmedabad is an example.